Should the world worry about Russia’s reformed military? Parade crew members at a military parade to mark the 71st anniversary of Victory in the 1941-1945 Great Patriotic War, on Moscow's Red Square, 2015. It took years of reforms and two defense ministers for Russia to transform its bulky army into a modern capable force. Today, many observers struggle to grasp the scale of the transformations that have taken place, while others voice concern that they signal the likelihood that Russia is now more likely than ever to resolve disputes by force. Russia’s Syrian campaign has revealed the extent of the transformations in the Russian military that have occurred since Moscow launched a military reform in 2008. The capabilities Russia employed during the Syrian operation surprised the West, according to the latest Chatham House report on Russia. “There are two different militaries fighting between 2008 and 2014,” said Michael Kofman, a fellow at the Kennan Institute of the Wilson Center specializing in Russian military analysis. According to Kofman, a continuous military reform has allowed Moscow to shake off the Soviet tradition of mass mobilization and create a consolidated permanent standing force. The success of Russia’s campaigns in Crimea and Syria raise a new question, however: Will Moscow now resort to military force more readily to pursue political interests? The ongoing military reform began in 2008 after the poor performance of Russian troops in combat with the Georgian army in the 10-day Russo-Georgian War. Russian forces prevailed in the conflict but suffered unexpectedly heavy losses. “This minor conflict exposed many weaknesses of the Russian forces: lack of readiness to repel the aggression of a small state and the sluggishness of the Russian military machine,” said Viktor Litovkin, a retired colonel and military observer for the TASS news agency. Measures subsequently taken to modify the military radically improved troops’ readiness, coordination, and mobility, according to the analysts interviewed. Following intensive exercises, snap checks, and joint force movements, “the new Russian army became a force ready to launch and sustain combat operations on short notice,” said Michael Kofman. Viktor Litovkin explained that a commander of one of the four newly formed military districts acquired the authority to control all branches of the military based on his territory, including ground troops, aviation, air defense, and navies. This new arrangement enhanced coordination between various army branches that failed to act in harmony during the Georgian conflict. Another measure saw heavy divisions replaced with brigades half as large to improve the army’s mobility. The introduction of brigades adopted the Russian army to the mountainous terrain of the Caucasus, enhancing its maneuverability, said Litovkin. This novelty has allowed Russia “to move the armed forces around its land mass on short notice,” said Kofman. Divisions remained in other military districts that could sustain a larger organization of troops, including in the west of the country. Temptation to resort to force? While the achievements of the military may please the political leadership in Russia, some worry about Moscow’s growing might. The more capable the Russian military becomes, the more likely Moscow is to use it to exert political pressure on other countries, say critics. “The trend of the past 10 years appears set to continue – the more Russia develops its conventional capability, the more confident and aggressive it will become,” wrote Keir Giles, a director of the Oxford-based Conflict Studies Research Centre, in the latest Chatham House report on Russia. Many, however, view a modernized military as a basic need of any country seeking security and engagement in international politics. “When diplomats have leverage represented by a powerful army it produces a certain effect, but it does not mean Russia will necessarily use it,” said Viktor Litovkin. 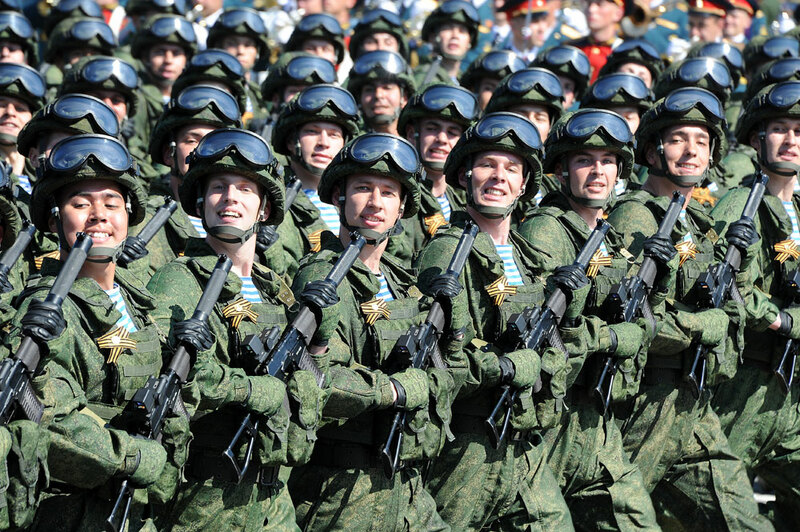 A well-trained and organized army allows Russia to protect its interests in regions vital for the country’s security. In Syria, the activity of Russia’s aerospace contingent helped diplomats to achieve a widely acclaimed agreement on the cessation of hostilities while keeping radical and terrorist groups at bay.